A few new products came into the store today. Let’s have a look. That star you’ve been seeing in the morning? – It is Venus. Two and a half weeks ago the United States painfully forwarded their clocks in accordance with Daylight Savings Time. While DST has been observed for decades this is only the 8th time DST has been observed in its ‘extended’ format (which was signed into law by then President Bush and first observed in 2007). The result is that many folks have found themselves getting up to do chores, go to work, etc. in complete darkness. This will continue until our days lengthen enough that early risers awake with the dawn, not darkness. This year, however, there has been a bit of astronomical coincidence with the change to DST. Namely that the planet Venus has been staring people in the face for the first time. Several people have asked us ‘what is that bright star in the sky this morning? It was in the South East, and it was BRIGHT!’. We’ve told folks that it was Venus, but oddly enough we aren’t sure everyone believed us. Well it certainly is Venus, and it is still there. Venus is not called the “Morning Star” for nothing (in fairness it is also called the “Evening Star” when it shows up after sunset). Venus is the 3rd brightest object in the night sky after the Sun and Moon and is bright enough that at times it can be spotted in daytime (you do have to look very hard, however). In the past, DST came later in the year so early risers would not encounter as much darkness upon rising. For the past few years that we have been observing the extended DST Venus was not in a position to make its morning appearance. So this is probably the first time many folks have seen Venus in its ‘Morning Star’ mode. Enjoy the view! Having covered the excellent handmade glass astronomy products last week, we can now cover the other line of products, the Handmade glass jellyfish paperweights! We’ve recently added some glass paperweights to our product line. These are impressive pieces of handmade glass that are made by the long-lived glassware company Dynasty Gallery based out of San Fransisco. We’ve added two lines of their fine products. In this blog entry we will cover the astronomy glass art paperweights. Centrifuging is one of the more important activities in a lab. Separating solutions and precipitates is critical for many functions in Chemistry, Biochemistry and Biology. But most centrifuges are designed to hold specially made centrifuge tubes or glass flasks & test tubes. But sometimes a small laboratory needs to centrifuge a microplate (a plate with multiple wells in a rectangular matrix) rather than in individual tubes. The question is how to centrifuge such plates? Some centrifuges have adapters for microplates but these are a bit clunky and awkward. Benchmark now introduces the Platefuge, the first microcentrifuge with a swing-out rotor for handling microplates. We’ve been a bit run around today handling the fires started from missing yesterday, so here is a preview of a post to come. We just got these items in stock. 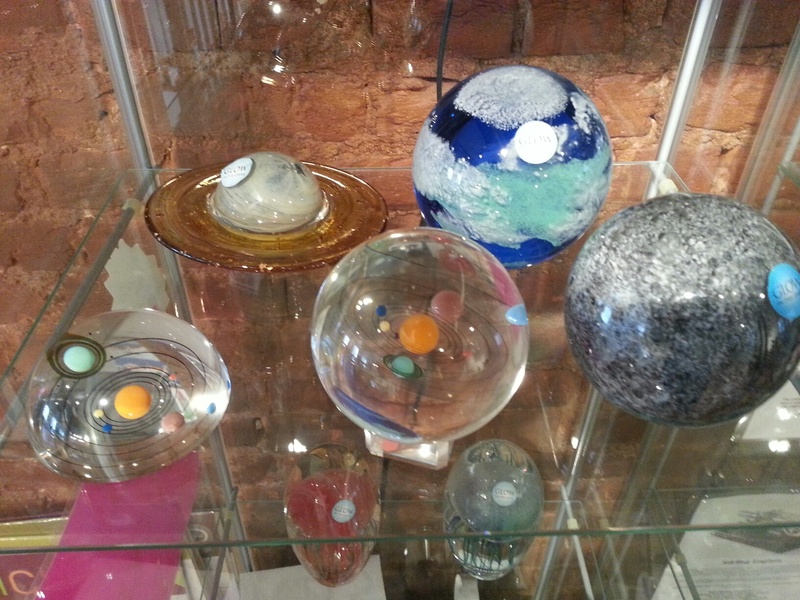 They are wonderful glass paperweights of planets, the solar system and…jellyfish!